With an emphasis on the “boxer’s workout”, you can expect to get into the best shape of your life. 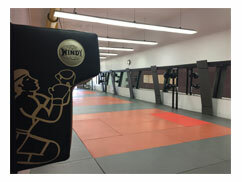 Participants will learn the basics of boxing stances, punches, defenses, and strategies. The benefits include an increased sense of confidence and over-all fitness, while teaching you some strategies of self-defense. 1 pair of bag gloves is included in the registration fee.